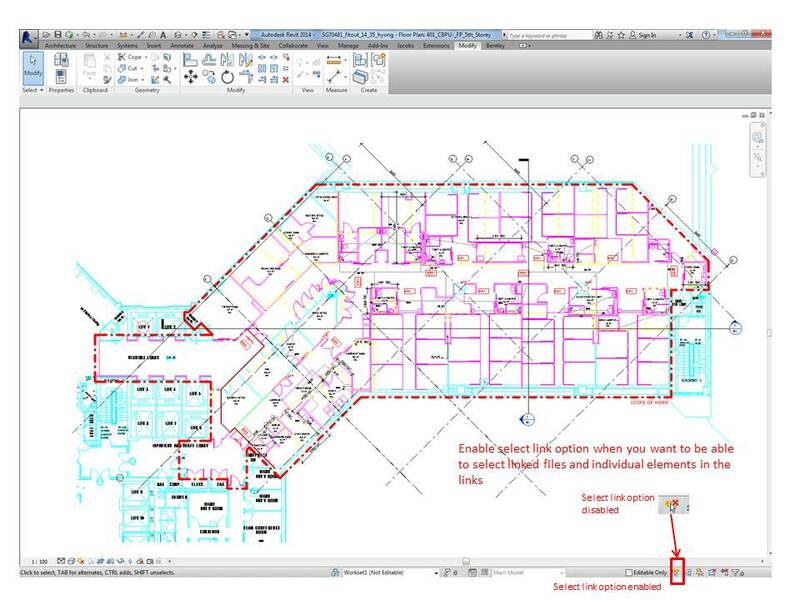 Tortilla Revit : Why do linked CAD files are unable to snap or move in REVIT, but only align? 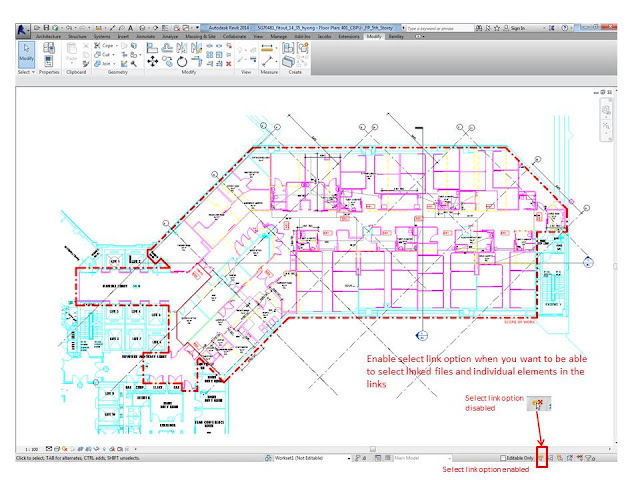 Why do linked CAD files are unable to snap or move in REVIT, but only align? After researching, trial and errors and experiments, there is a solution to that, which i have recorded in the image below. The trick is to enable select link option when you want to be able to select linked files and individual elements in the links. I do not know whether it was disabled by default or not but at least now i have another place to check when I could not move or snap my linked autocad files. 1. Click the imported linked cad files.